Being a publisher, I keep on searching different ad network and try them out. This gives you freedom to choose what works for you. No doubt AdSense is still the top choice for publishers but you should consider the alternate as not all sites get into Google network and if you will then also it’s not necessary that it will work for you. So keep on experimenting different ad network and see which is working well for you and go with that. Recently I came in touch with CPX24 ad network and they seem to be really promising. Here is CPX24 ad network review where I will be taking you through both publisher and advertiser option and will let you know why you should start with CPX24. 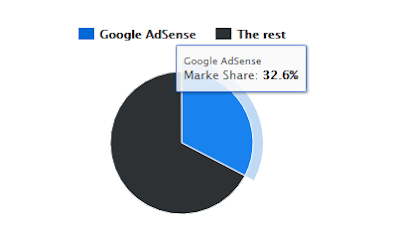 One thing you should not is, even though Google AdSense is the most popular publisher network but still they have the market share of just 32.6% and so people are trying other network and those network are working quite well. Similarly, when we talk about the advertising option, Google AdWords has just a market capture of around 15% and so there much space for other network and those are doing well as well. So as you saw, both advertiser and publisher are now heading towards some advanced, technically sound and more targeted network and so you should also think about it. CPX24 is an ad network offering the highest paying ads to publishers and targeted traffic to advertisers. If you are a publisher, you can earn by showing ads from CPX24 or if you are an advertiser, then you can reach out to your targeted customers more easily, precisely and more important in less cost. With having just $0.5 payment threshold, they focus on service a lot and ensure 100% customer satisfaction every time. Now let’s talk about the advertiser and publisher options separately. With over 200 Million daily targeted traffic, CPX24 is one of the popular advertising networks in advertiser community. If you are an advertiser and need huge traffic with good conversion, go with CPX24 and see reaching your business on high nodes. Besides the targeted traffic, CPX24 offers some other great facilities to advertisers like low-cost advertising, bidding starts from 0.001$ per pop (1$ for 1000 pops), easy campaign approval, option to get refund of unspent amount anytime, offers PayPal as payment option to add funds to your account, for more payment options you can contact their support anytime, dedicated support via Email and Skype. If you have a website and want to monetize it and earn money, go with CPX24. You will get premium CPM rate and high-quality support. CPX24 offers various facilities to publishers like high CPM rates, very low minimum payout, fast payments, no minimum traffic requirement to join, non-intrusive ads, accepts both adult and non-adult content websites, high paying referral program, and a great support via email and Skype. CPX24 also allow another ad network to use their platform and they can use direct link of CPX24 to their platform. CPX24 is easy to use the network with very simple and attractive interface. No matter what kind of site you have, you are good to start with CPX24 as they don’t have strict approval policy. If you want to start, just register in CPX24 publisher network and you will receive an email to verify your email. As soon as you will do it, log in to the dashboard and there you will need to fill your website details. Once done you are good to proceed. There is no approval process and you will be automatically approved. Now all you have to do is, just generate the code and use it on your site and start earning. CPX24 is very flexible with payment options. Their minimum threshold is just $0.5 and I think this is the lowest threshold I have seen so far. Also, the payment will be made in just 3 business days after reaching the threshold. There are multiple options to withdraw the payment like- PayPal, Skrill, Webmoney, Payza, Paxum, Bitcoin, OKPay and Bank Wire. Basically, CPX24 is a pop under network and so they deal in CPM and only have pop under ads. CPX24 also offers direct promotion link, so, if you need custom implementation then you can use their direct promotion link. Even though the reporting dashboard is not updated in real-time and can take up to 48 hours to show the stat but still helpful. You will see and track valid hits, referral hits, revenue earned on a daily basis. They also offer country based reports where you can see country, eCPM, impressions, and revenue earned. Also, there are multiple filter options to get the report like country based filter, site wise filter etc. CPX24 has a dedicated team to assist you at each and every point. They help you to earn more if you are a publisher or will help you to optimize your ads if you are an advertiser. You can connect with them through mail, ticket or Skype easily. They offer 10% commission rate not only on publishers but on advertisers as well. Just log in to your dashboard and generate your affiliate link. Now once someone will sign up through your affiliate link and will either spend or earn money, you will get 10% of it. • We are one of the highest paying networks. • Fast payments with a wide range of payment options. • No traffic requirements to join. • Dedicated support team to address any issue you have. 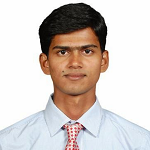 CPX24 is a promising and reliable adnetwork to work. Having the payment threshold just $0.5, anyone can easily achieve this. So, if you are thinking out of the box and looking for a promising ad network, try CPX24.